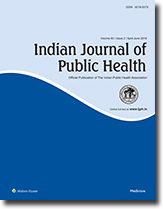 This one year prospective study was carried out to determine the CBR, CDR and different underfive mortality rates in some selected rural ICDS blocks of West Bengal and also to find out the common causes of infant and childhood mortality in these areas. It was revealed that most of the above mentioned indicators in ICDS blocks were considerably lower than that of National figures, but more or less similar to those of rural Bengal as recorded in routine Govt. reports. Compared to the picture of rural West Bengal, both still birth & perinatal mortality rates were found higher in all ICDS blocks. The causes of mortality trends among under fives' were found similar to that of rural India pattern i.e. prematurity, acute respiratory infections and diarrhoea being the leaders. Neonates, who contributed the largest share of infant mortality died mainly due to prematurity. So, observations like high perinatal mortality & still birth rates, huge proportion of neonatal death during infancy, same IMR but low 5MR, and death of neonates due to prematurity etc. claim the necessity of improving maternal component of ICDS services, their nutritional care in particular.